25706LF-ECO is rated 4.7 out of 5 by 14. 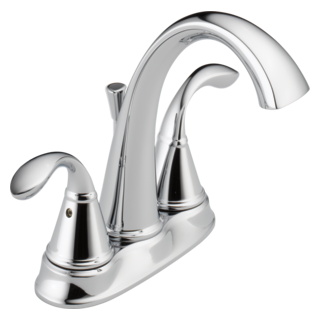 Rated 5 out of 5 by Brenda from Beautiful faucet We bought the Zella faucet in a chrome finish about a week ago and I had my husband install it as soon as we got home from the store. We replaced another faucet that was dull and not my style. The faucet was easy to install and I love it. The faucet also has a great water flow and it has a great feel to it and did I mention it's BEAUTIFUL. 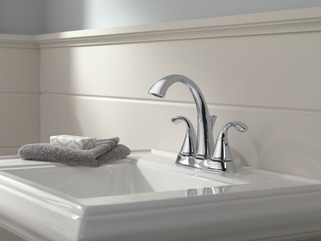 You would be surprised how much just adding a new faucet can change the look of your bathroom. I just love it!!! Rated 5 out of 5 by Rick 12 from Great facet!!! Live this bathroom facet. I put two of them in our master bath. Rated 5 out of 5 by Buddy from Homeowner Looks beautiful and enhances the look of the guest bathroom. Rated 5 out of 5 by eriedearie from Design and function. I purchased this faucet about a month ago and installed it on my bathroom sink. It is everything I anticipated it would be. Graceful and functional; everything I have come to expect from Delta! Rated 5 out of 5 by GLM1 from Sleek looking faucet The faucet itself is attractive, works well and was relatively easy to install. I had a bit of trouble tightening the nut that connects the drain rod to the undersink metal attachment strap. This was made worse by the tight quarters of the sink cabinet & bottom of the sink itself being in the way....but, I finally got it secured. If this had been a faucet installation to a new sink, it probably wouldn't have taken long to do. However, I was removing both 13-year-old faucets in our master bath's vanity. Getting the old faucets out was a pain in the neck...parts tend to cement themselves in place over time. Using the proper plumbing tools proved crucial (e.g. Basin wrench & crescent tongue and groove pliers), along with using silicone spray on troublesome nuts (thanks to the advise of someone on a YouTube video). Rated 5 out of 5 by Will88 from Delta faucet This faucet was well made, handle have a smooth feel. Looks great work great. 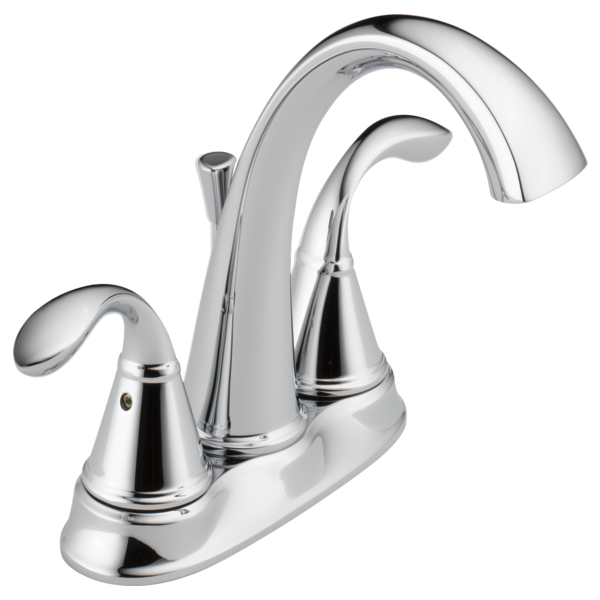 Rated 5 out of 5 by BJay from Faucet is very stylish for the price range. Easy to install. Previous experience with Delta Products has been very good and appreciate that Delta backs up their product with a lifetime service warranty. Rated 1 out of 5 by OlenaM from Water all over the counter top It splashes quite a bit when it water flows because of that squeezed design. But try washing your hands or something else - puddles of water all over the counter top. All that you have near the sink will be sitting in water after almost every hand washing. Poor design. Where can I buy a gasket for this? Suggest you call Delta service/warranty department, tell them item missing from box and they may mail you a gasket.